For those who need a lift to their next poisoning, disemboweling or long, serious walk/conversation in a darkened corridor. Meh. I’m more of a “Silicon Valley” and “Veep” person. Approaching Watts. Photo by Steve Hymon. From the Department of Pop Culture: While on the subject of HBO, I tried to watch “Jurassic World” the other evening. I made it 57 minutes before declaring it the Very Worst Movie of All Time, made even worse by the fact that the entire cast — children included — were not consumed by the dinosaurs. 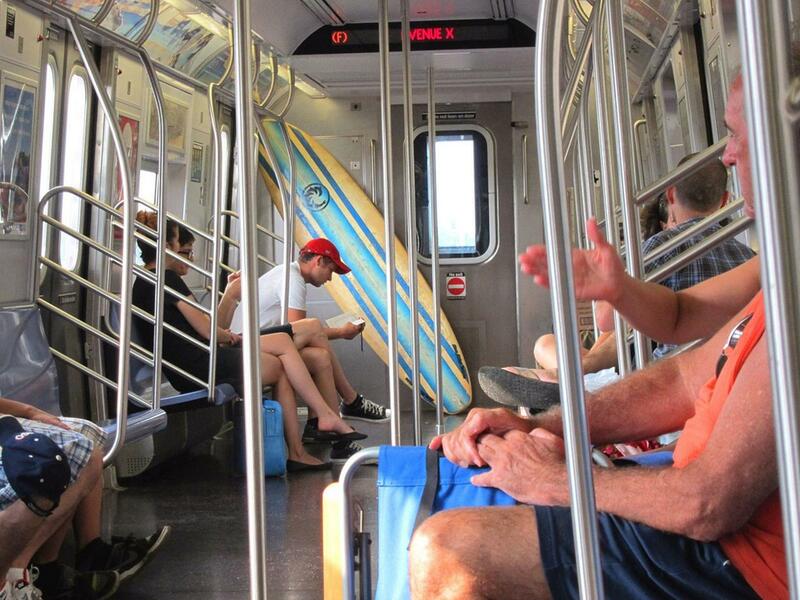 Surfing via the New York Subway, which serves the Atlantic Ocean via a long ride through Brooklyn. Photo by Carmen, via Flickr creative commons. I get a lot of email from riders and potential riders — and not a single one has inquired about taking a surfboard on trains. That hasn’t stopped reporters from asking the question and the answer is that, yes, they’re allowed as along as they don’t block aisles, cause safety problems and there’s room, so says Metro officials. To put another way: if the train is crowded, you and your board have to wait 12 minutes for the next train. Something to chew on. 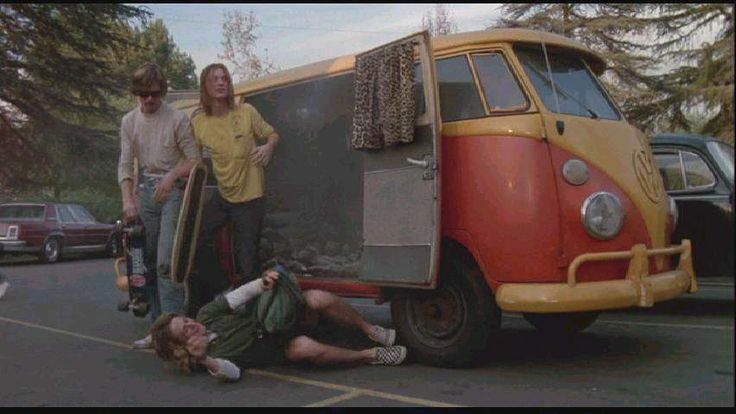 Or you could go online and find a beater van. 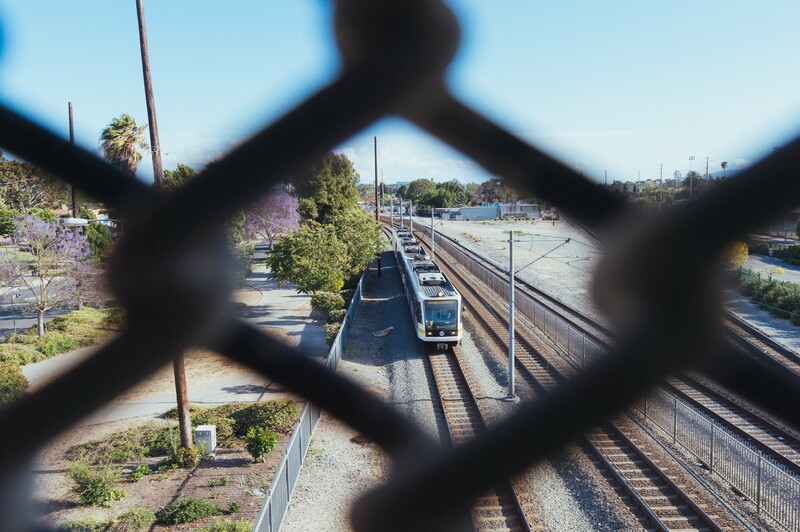 The same official says that Metro will update its Customer Code of Conduct to better clarify the rules since this issue has not henceforth been an issue (although the Blue Line arrived in Long Beach in 1990, albeit a distance from any potential surf spots). The 261-unit building will sit on the empty lot on the western side of the parking structure — just north of the train platforms and a stone’s throw from the nifty new Station Square Park. The original development slated for the site fell through courtesy of the Great Recession, so this is good news to see something happening. Urbanize reports that it will be done in 2018. The situation: a six-mile stretch of highway sandwiched between three-lane stretches of highway. So Texas transpo officials paved the shoulders on six-mile stretch and opened them to traffic to help with the chokepoint. Early data shows that traffic initially flowed much better and has since slowed somewhat — but is still moving better than with the original bottleneck. As Wired points out, we live in a time when many people take an automatic stance against highway projects, alleging that they will only attract more traffic. And yet, we also have some old roads and old chokepoints that, I think, deserve some upgrades in order to work better and be safer much of the time. For those who have wished they could take a spin class whilst transiting on a bus. The bottleneck could also have been eliminated by slimming down the rest of the freeway down to match the 3 lanes. But of course the idea of forcing commuters to take alternatives is political taboo; communities must always bow down before the almighty transitory commuter lest an extra half-hour delay incurs his wrath. “Alternatives” as you put it, may not be transit, people may just drive on alternative roads, and the residents living on or near those roads might not thing that a good idea. The problem I have with highway-first thinking is that it presupposes that nothing will ever convince a commuter to leave their car, so therefore everything should be done to appease both the commuter and those hypothetical local residents who don’t want traffic sullying their boutique communities. The reality is that the highway system has already destroyed millions of immigrant and low income communities across the United States, from Detroit to East LA. The reality is that the highway system has encouraged suburban sprawl and one to two hour commutes. It has permanently change the landscape of urban life in the United States, and I don’t think it’s been in a good way. We’re so determined to prevent our affluent communities from changing that we don’t stop to look at how our actions affect the poorer communities around us. How many people are dying of respiratory illnesses due to living in smoggy freeway corridors along I-10 and I-60 in the Inland Empire? What about the people who have to live with unhealthy levels of fine particulates along the 710 corridor? Commute time isn’t everything. Quality of living is. We need to be looking for ways to improve the quality of living for all our communities, and not just the richest among us. If that means allowing higher density in LA’s inner suburbs so that people can live closer to where they work? We should encourage it. But at the same time, our real estate market is so broken and profit-driven that what winds up happening instead is developers snap up property in formerly poor areas like Echo Park – and drive rents up, forcing those residents out into the far-flung suburbs they can still afford, exacerbating the traffic problem. That’s why affordable housing standards are needed. Or, hell, a community housing trust model like what was pioneered in Burlington, Vermont. Instead of development displacing long-time residents, it should be accommodating them. Development shouldn’t destroy existing communities; it should help them grow. But it’s not.